Her married name became Tichborne. Children of Anne Burke and Sir Henry Joseph Tichborne, 8th Bt. [S6] G.E. Cokayne; with Vicary Gibbs, H.A. Doubleday, Geoffrey H. White, Duncan Warrand and Lord Howard de Walden, editors, The Complete Peerage of England, Scotland, Ireland, Great Britain and the United Kingdom, Extant, Extinct or Dormant, new ed., 13 volumes in 14 (1910-1959; reprint in 6 volumes, Gloucester, U.K.: Alan Sutton Publishing, 2000), volume I, page 188. Hereinafter cited as The Complete Peerage. Her married name became Doyle. Children of Diana Elizabeth Milner and Sir Francis Hastings Doyle, 1st Bt. 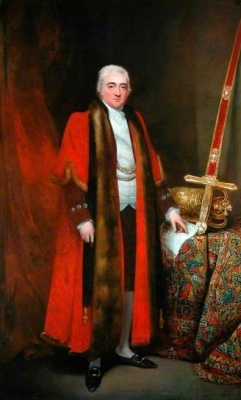 Sir William Milner, 3rd Bt. Her married name became Milner. Children of Diana Sturt and Sir William Mordaunt Milner, 3rd Bt. 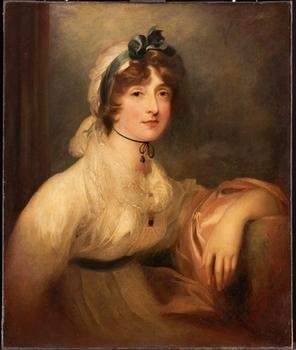 Her married name became Assheton-Smith. Her married name became Duff. Child of Hon. Maud Frances Vivian and Sir Charles Garden Assheton-Smith, 1st Bt. Charles Crespigny Vivian, 2nd Baron Vivian was born on 24 December 1808.1 He was the son of Richard Hussey Vivian, 1st Baron Vivian and Eliza Champion de Crespigny. He married, firstly, Arabella Scott, daughter of Reverend John Middleton Scott and Lady Arabella Barbara Brabazon, on 2 July 1833.1 He married, secondly, Mary Elizabeth Panton, daughter of Jones Panton, on 21 September 1841.1 He died on 24 April 1886 at age 77. He was Lieutenant Rifle , Cornet 7th Hussars 825, Lieutenant 1826, Captain 1829, Brevet Major 1834, Member of Parliament (M.P.) Bodmin 1835–42, Dep Warden Stannaries 1852, Lord Lieutenant Cornwall 1856–77 Bde 1825.1 2nd Baron Vivian of Glynn and of Truro.1 He was educated Eton.1 He gained the title of 2nd Baron Vivian. Her married name became Vivian. She lived Wellington Lodge.2 Ryde.2 IoW.2 Her married name became Vivian.